Imagine if you could explore the meadows and view the breathtaking sceneries of Switzerland right from your home…Sounds amazing, doesn’t it? Well, it is possible…or it will be in the near future. Virtual reality is an intriguing technology where the creation of a virtual environment is presented to our senses like hearing, vision, feeling and even smell in such a way that we experience it as if we were really there. It is a computer-generated simulation of a three-dimensional image or environment that can be interacted with in a seemingly real or physical way by a person using special electronic equipment, such as a device with a screen inside or gloves fitted with sensors. A little too Back to the future? Well then, the future isn’t all too far at all. Now, what is this buzz about Virtual Reality? Virtual reality industry is expected to hit $150 million by the year 2020. We already have apps under development like VTime the first ever mobile social network which uses virtual reality to connect friends. Surely, virtual reality is making its headway in the area of digital marketing and why not? It is going to humanize the way we interact on social media. 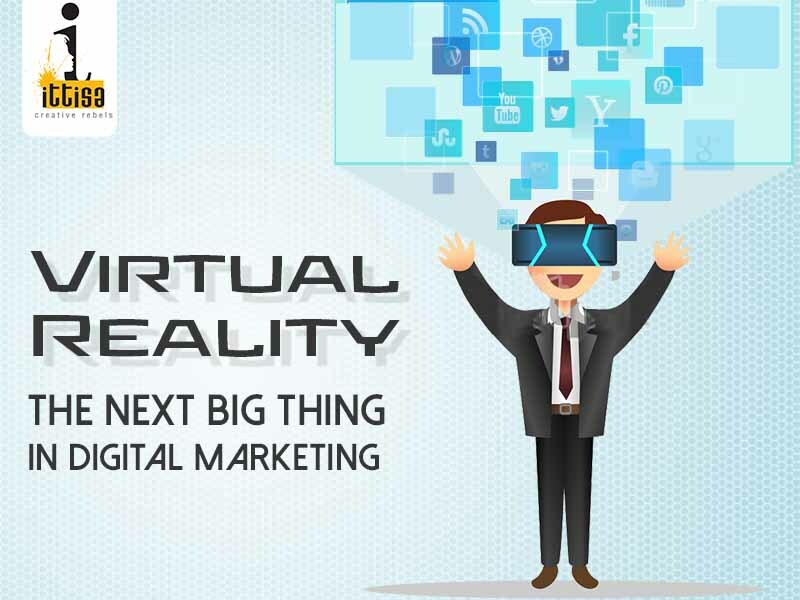 With big names in the Silicon Valley such as Facebook, Google and Samsung hugely investing in Oculus Rift, Google Glass and Gear VR respectively and coming up with ways to integrate it with the social media, the day is not far away where digital marketers have to create virtual reality strategies on social media for their clients. Thrones and Interstellar have been popular with their virtual reality campaigns. When it comes to social media, it still remains untapped and there is much to explore in this territory. Lately, Facebook is making news with its efforts to jump start Virtual reality with “360 videos” and the new “Social VR team” after acquiring Oculus Rift in 2014. Zuckerberg says “We’ve already helped people connect in a wide variety of ways on mobile devices — ranging from Facebook and Instagram to Messenger and WhatsApp — and now we want to apply that same approach to the new medium of Virtual Reality”. In this day and age, content is king, virtual reality will open the opportunities for immersive content which will create deeper engagement with consumers. The E-commerce websites are expected to have tremendous marketing opportunities with more compelling product experiences on their platforms which will definitely change the present shopper marketing in a big way. In the world of marketing, virtual reality will redefine the scope of branding and advertising. It will open new avenues for social experiences and product experiences. In the years to come virtual reality will be a major game changer in digital media. Nice article explaining the next big thing in digital marketing.